FLASHERINO analog transistor LED flasher for 6 Volt motorcycles. 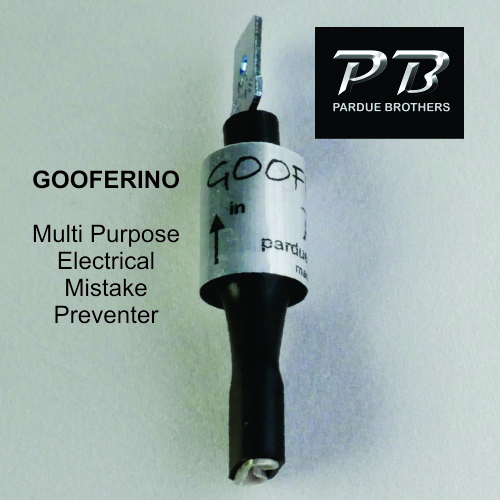 Works from 4 to 18 Volts and includes a GOOFERINO to help prevent polarity accidents during installation. Designed and built in the USA by Jon Pardue. 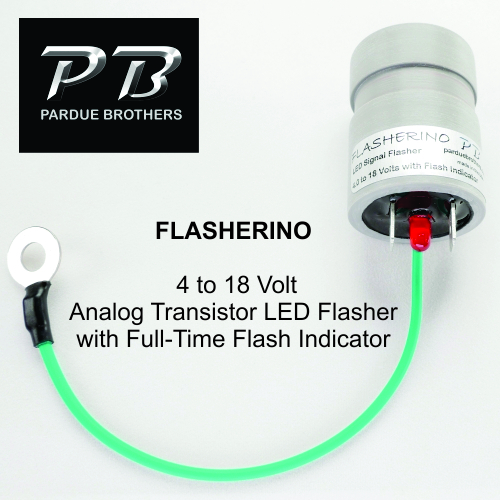 FLASHERINO is our Parade Duty analog electronic flasher for 6 Volt motorcycles. 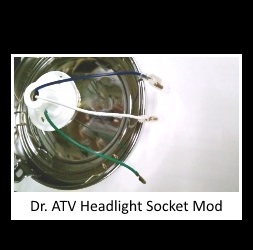 It is part of our LED Conversion Kits. Designed by Jon Pardue to endure on motorcycles. It features a solid state analog transistor circuit built using modern parts. 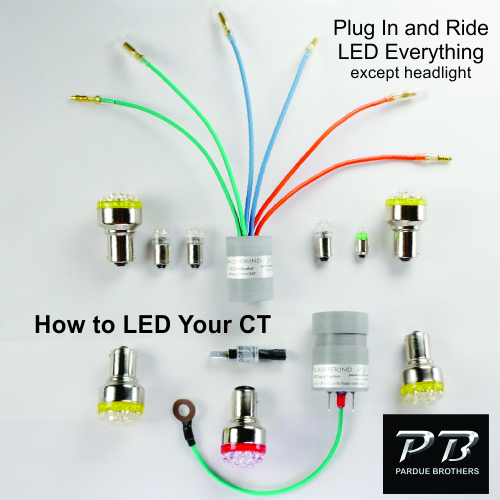 This circuit evolved over several years followed with exhaustive beta testing by real daily riders. Flashing cadence is independent of Voltage or load. 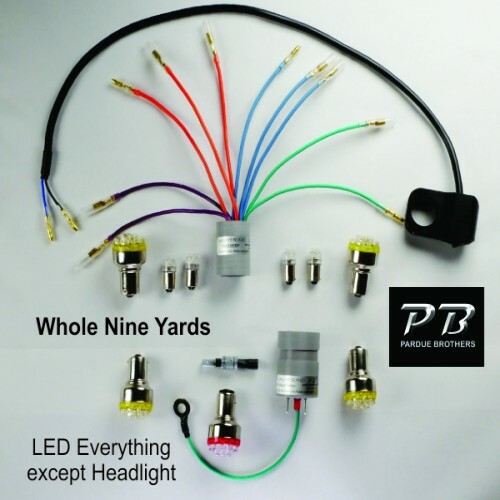 The indicating LED flashes full time to let you know the power wiring is correct. 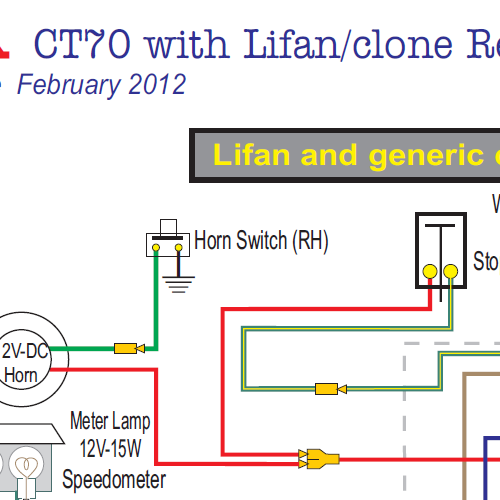 If your bike has a tired 6 Volt battery or a fully charged 12 Volt lithium supercell, flash cadence remains the same. Each FLASHERINO is hand built and tested with pride in the USA. 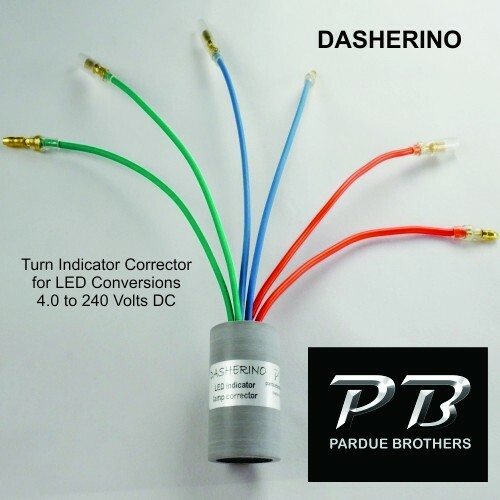 Includes a GOOFERINO reverse polarity protector which helps prevent damage from wiring errors. After the LED turn signals are working correctly, it is okay to remove GOOFERINO..
Get real: a 6 Volt bike may only have 5 Volts available. Original turn signals and thermal flasher needs lots of electricity. Stock turn signals are not effective at low speed, often failing to flash. Even a little corrosion kills the stock turn signals. This design started out for my bike. It is comforting to have assurance we are visible. Cost: I decided it was time to fix the problem once and for all. No existing flasher we tested is optimized for 6 Volt duty. 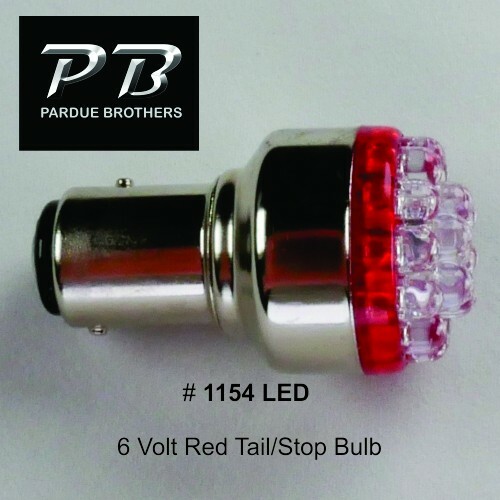 Low cost and lightweight flashers for 6 Volt bikes are out there. Some work decent on a maintained bike with well-charged battery. These devices “pre-light” the LED’s only work above a certain Voltage. We desire heavy duty durability and high performance. The term “Parade Duty” describes my designs. We want parts that work when the pressure is on to peform, especially when conditions are sub-optimal. The last thing you have time for is an electrical failure. “Flash no matter what” was my design mantra. Take 55: After designing and testing fifty five different circuits, analog transistors proved best for 6 Volt use. The most bulletproof and versatile analog transistor circuit came up analog – all transistor – and it outperforms all the programmable digital circuits tested for this application. The wildly fluctuating power suppy we fondly call a vintage Honda is tough to design for. 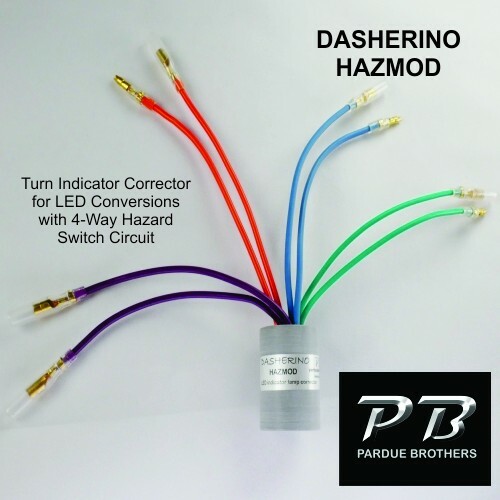 FLASHERINO begins flashing at or just below 4 Volts DC and will flash at the same cadence all the way to 18 Volts. There is a Red indicating LED that flashes all the time to let you know everything is working and ready to signal.